Russian oil production could dip by 30% due to the effect of Western sanctions imposed to punish Moscow for annexing the Ukrainian territory of Crimea and fomenting an insurgency in Ukraine’s Donbas region, according to media reports. Under the current sanctions, oil production in Russia is projected to fall from 10.5 million barrels to 7.6 million over ten years, UK newspaper the Financial Times writes, referring to data from the IHS CERA consulting company. Oil output will decrease due to the depletion of existing fields, and Russia faces the task of developing its Arctic and Siberian Shelf deposits. However, this will be extremely difficult to do under the current sanctions regime, Russian information agency PRIME reports. The countries that have imposed sanctions in the oil industry had been supplying Russia with hi-tech equipment that was to have been used to tap difficult-to-reach reserves in the acrtic. 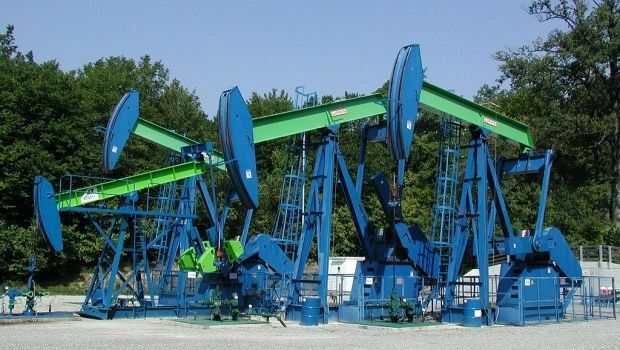 According to the Director General of Moscow World Trade Centre Vladimir Salamatov, Russia’s reliance on oil equipment imports from the countries imposing oil industry related sanctions stands at 57%. The president of LUKoil Vagit Alekperov said that one quarter of the equipment required for Russian oil production comes from the United States.